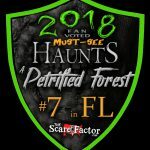 A Petrified Forest is a Haunted Attraction located in Altamonte Springs, FL. Prepare yourself! This Halloween, experience a new layout format with all new scares in Central Florida’s premier haunted scare trail! Within this Altamonte Springs haunted house, you will find over 85,000 square feet of sheer horror. Best of all, this mega-haunt is located right in the middle of our forest! Please note we are outdoor scare trail if it rains you will get wet. We are at the mercy of FL weather. We check the radar constantly and do our best to keep you advised of inclement weather but know we do operate rain or shine. (Heavy thunderstorms excluded). So please if you don’t want to get wet, do check the weather radar before coming. Otherwise come play with us in the rain. Highlight: The wooden ride in the beginning that the 5 patrons individually walk in to their slot (similar to what is used to transport animals to their killing grounds) and the redneck house in the woods preceding a big adult baby crying about the killers in the corn fields (who come running at you shortly after). 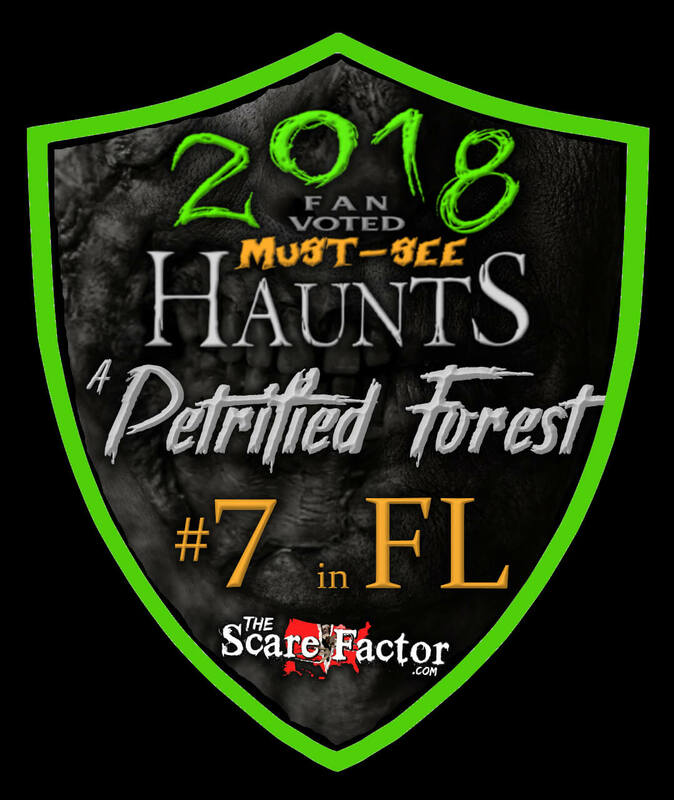 with heavy detail on the cabins and redneck charm, A Petrified Forest delivers some creepy surprises and puts you in the middle of a slasher horror film hovering around a Texas Chainsaw outdoor atmosphere. In 2015 360 America Haunt Tour visited 46 Haunts, 18 Attractions in 1 Month!